For all but the biggest yachts, inflatable boats make the best tenders. But inflatables are a mixed blessing; at their best, they combine the convenience of a marine multi-tool with the freedoms of a compact powerboat—with running costs akin to those of a pet gerbil. At their worst, however, inflatables are a heavy, lumpy, odorous, space-greedy aggravation of a thing that squats in your garage or stowage compartment.I’ve found myself in the latter camp on more than one occasion, so I know just how hateful inflatable tenders can be. 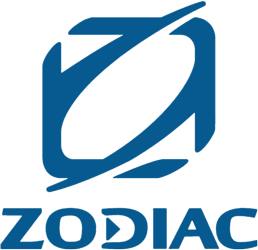 Certainly, they enjoy some strong advantages: easy portability, generous buoyancy, innate dynamic stability, and low power requirements all come to mind. But there are plenty of downsides, too. What about finding somewhere accessible to stow the boat? Then finding somewhere for its fumy fuel tank and lubricant-filled, leak-happy outboard engine? If you don’t have sufficient space to carry the inflatable fully puffed-up with air, then there’s the sheer bulk and weight of the packed down inflatable to deal with—and it’s always much more difficult to carry than you think. Once you actually get an inflatable tender on the water, you can expect it to flex when you hit the throttle, rear up when you’re singlehanded, and get bullied by the elements when the wind is blowing. Clearly, there are plenty of reasons both to love and to hate the inflatable. But if you understand their up-sides and down-sides, when the matter is viewed from a cool and dispassionate perspective it seems that most of the issues have less to do with the boat itself, and more to do with poor buying decisions on the part of the owner. So, how will you make your decision the right one? Consider all of the following factors. 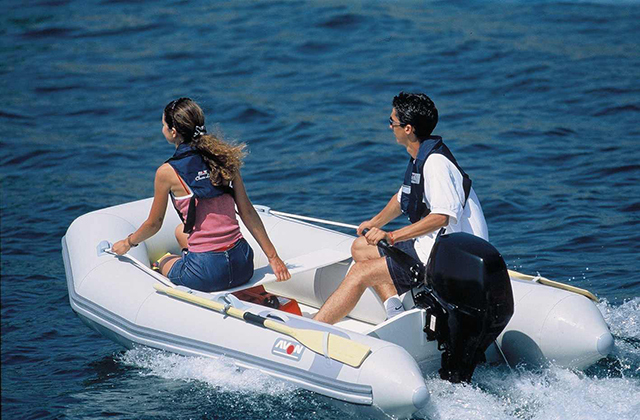 Inflatable boats are constructed from either PVC or Hypalon, and the trade-off here is between price and durability. PVC is extremely popular because it’s lightweight and affordable. It’s easily folded, and recent developments in polymers mean that modern PVC can also be remarkably strong. Some come with threads woven into the material, and these threads are measured in denier. A higher rating denotes a stronger thread, but you should also pay attention to the nature of the weave, as a more tightly-woven thread (for instance, 6×6 per cm rather than 3×3) is likely to prove more resilient. On the downside, PVC remains susceptible to extended exposure to sunlight, heat, and humidity. Hypalon, on the other hand, is a weighty, expensive, and extremely robust fabric. That’s why it’s commonly used in the construction of heavy-duty RIBs. Plainly then, your buying decision should be based partly on budget but also on your intended usage. If you want to keep your tender ready-built and routinely exposed for frequent use, then Hypalon is the answer. However, if you want a more compact and portable boat for less regular use and for stowing away between outings, a modern, lightweight PVC craft is likely to prove the better compromise. Consider portability, longevity, and cost when comparing PVC and Hypalon. Inflatables tend to come with either an inflatable ‘air deck’ or a rigid floor built from interlocking aluminium or plywood slats. For low weight, forgiving ride comfort, softness under your knees and a simplified assembly process, a high-pressure air floor is ideal. For higher speed operation with less flex, greater structural rigidity, and a more efficient use of power, a hard deck is the better bet. Be aware, however, that rigid deck slats do have a habit of trapping unwary fingers with merciless regularity. Even on an entry-level budget, basic accessories (oars, seats, a pump, a repair kit, lifting points, and a carry bag) should be included in the price. But you should also look for multiple air chambers for safety, plus an inflatable thwart for extra strength. Those with a pronounced inflatable keel have improve directional stability, and optional fins and tabs can help tweak the handling. Think also about investing in some wheels for transporting your tender up and down docks and beaches. And if you intend to buy a small outboard, you should consider electric power for cleaner, simpler stowage and transport. Whatever type of outboard you use, an extended tiller can help you shift your weight forward, for easier planing and a flatter ride. 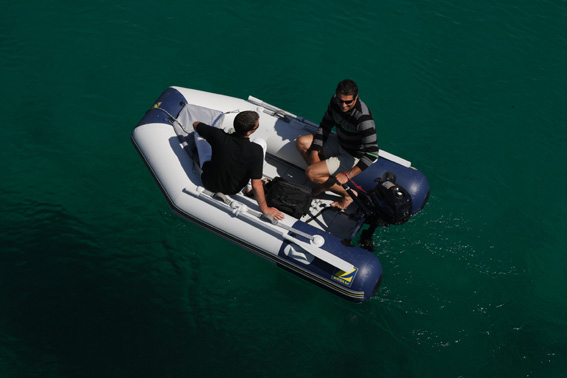 RIBs, properly called rigid bottom inflatables, are an option that bring a lot of pluses to the table: vastly improved performance, far better seakeeping abilities, and almost unlimited options for size and style. Naturally, however, they cost far more than simple inflatables. And, their portability is not much different than fiberglass boats of a similar size. These factors make RIB boats an entirely different kind of choice, worthy of a full-blown investigation. Fortunately, we’ve already done one. If you think a RIB might be the right move for you, read RIB Buying Guide: The Top 10 Questions You Should Ask. Wondering just how much of an investment an inflatable will be? See these inflatable tender listings.